"Mount Wollaston" redirects here. For the modern neighborhood, see Wollaston (Quincy, Massachusetts). Quincy (/ˈkwɪnzi/ KWIN-zee) is the largest city in Norfolk County, Massachusetts, United States. It is part of Metropolitan Boston and one of Boston's immediate southern suburbs. Its population in 2014 was 93,397, making it the eighth-largest city in the state. Known as the "City of Presidents," Quincy is the birthplace of two U.S. presidents—John Adams and his son John Quincy Adams—as well as John Hancock, a President of the Continental Congress and the first signer of the Declaration of Independence. First settled in 1625, Quincy was briefly part of Dorchester and Boston before becoming the north precinct of Braintree in 1640. In 1792, Quincy was split off from Braintree; the new town was named after Colonel John Quincy, maternal grandfather of Abigail Adams and after whom John Quincy Adams was also named. Quincy became a city in 1888. For more than a century, Quincy was home to a thriving granite industry; the city was also the site of the Granite Railway, the United States' first commercial railroad. Shipbuilding at the Fore River Shipyard was another key part of the city's economy. In the 20th century, both Howard Johnson's and Dunkin' Donuts were founded in the city. Massachusett sachem Chickatawbut had his seat on a hill called Moswetuset Hummock prior to the settlement of the area by English colonists, situated east of the mouth of the Neponset River near what is now called Squantum. It was visited in 1621 by Plymouth Colony commander Myles Standish and Squanto, a native guide. Four years later, a party led by Captain Wollaston established a post on a low hill near the south shore of Quincy Bay east of present-day Black's Creek. The settlers found the area suitable for farming, as Chickatawbut and his group had cleared much of the land of trees. (The Indians used the name Passonagessit ("Little Neck of Land") for the area.) This settlement was named Mount Wollaston in honor of the leader, who left the area soon after 1625, bound for Virginia. The Wollaston neighborhood in Quincy still retains Captain Wollaston's name. Upon the departure of Wollaston, Thomas Morton took over leadership of the post, and the settlement proceeded to gain a reputation for debauchery with Indian women and drunkenness. Morton renamed the settlement Ma-re-Mount ("Hill by the Sea") and later wrote that the conservative separatists of Plymouth Colony to the south were "threatening to make it a woefull mount and not a merry mount", in reference to the fact that they disapproved of his libertine practices. In 1627, Morton was arrested by Standish for violating the code of conduct in a way harmful to the colony. He was sent back to England, only to return and be arrested by Puritans the next year. The area of Quincy now called Merrymount is located on the site of the original English settlement of 1625 and takes its name from the punning name given by Morton. The area was first incorporated as part of Dorchester in 1630 and was briefly annexed by Boston in 1634. The area became Braintree in 1640, bordered along the coast of Massachusetts Bay by Dorchester to the north and Weymouth to the east. Beginning in 1708, the modern border of Quincy first took shape as the North Precinct of Braintree. Following the American Revolution, Quincy was officially incorporated as a separate town named for Col. John Quincy in 1792, and was made a city in 1888. In 1845 the Old Colony Railroad opened; the Massachusetts Historical Commission stated that the railroad was "the beginning of a trend toward suburbanization". Quincy became as accessible to Boston as was Charlestown. The first suburban land company, Bellevue Land Co., had been organized in northern Quincy in 1870. Quincy's population grew by over 50 percent during the 1920s. Among the city's several firsts was the Granite Railway, the first commercial railroad in the United States. It was constructed in 1826 to carry granite from a Quincy quarry to the Neponset River in Milton so that the stone could then be taken by boat to erect the Bunker Hill Monument in Charlestown. Quincy granite became famous throughout the nation, and stonecutting became the city's principal economic activity. Quincy was also home to the first iron furnace in the United States, the John Winthrop Jr. Iron Furnace Site (also known as Braintree Furnace), from 1644 to 1653. Quincy was additionally important as a shipbuilding center. Sailing ships were built in Quincy for many years, including the only seven-masted schooner ever built, Thomas W. Lawson. The Fore River area became a shipbuilding center in the 1880s; founded by Thomas A. Watson, who became wealthy as assistant to Alexander Graham Bell in developing the telephone, many famous warships were built at the Fore River Shipyard. Amongst these were the aircraft carrier USS Lexington (CV-2); the battleships USS Massachusetts (BB-59), now preserved as a museum ship at Battleship Cove in Massachusetts, and USS Nevada (BB-36); and USS Salem (CA-139), the world's last all-gun heavy warship, which is still preserved at Fore River as the main exhibit of the United States Naval Shipbuilding Museum. John J. Kilroy, reputed originator of the famous Kilroy was here graffiti, was a rivet inspector at Fore River. The Howard Johnson's and Dunkin' Donuts restaurant chains were both founded in Quincy. Celtic punk band Dropkick Murphys got its start in the city's Wollaston neighborhood in 1996. Quincy is also home to the United States' longest-running Flag Day parade, a tradition that began in 1952 under Richard Koch, a former director of Parks and Recreation, who started the "Koch Club" sports organization for kids and had an annual parade with flags. Although Quincy is primarily urban, 2,485 acres (3.9 sq mi; 10.1 km2) or fully 23 percent of its land area lies within the uninhabited Blue Hills Reservation, a state park managed by the Massachusetts Department of Conservation and Recreation. This undeveloped natural area encompasses the southwestern portion of Quincy and includes the city's highest point, 517-foot (158 m) Chickatawbut Hill. Other hills within Quincy include Forbes Hill in Wollaston, Presidents Hill in Quincy Center and Penns Hill in South Quincy. As of the 2010 United States Census, there were 92,271 people, 38,883 households, and 42,838 families residing in the city, making it the eighth-largest city in the state. The population density was 5,567.9 people per square mile (2,025.4/km2). There were 42,838 housing units at an average density of 2,388.7 per square mile (922.5/km2). The racial makeup of the city was 65.5% White, 4.6% African American, 0.16% Native American, 24.0% Asian (15.6% Chinese, 3.2% Vietnamese, 2.6% Indian), 0.02% Pacific Islander, 0.85% from other races, and 1.76% from two or more races. Hispanic or Latino of any race were 4.6% of the population. 33.5% were of Irish (making Quincy the most Irish American city in the entire United States), 12.7% Italian and 5.0% English ancestry according to the 2000 Census. 77.1% spoke only English, while 8.0% spoke Chinese or Mandarin, 2.6% Cantonese, 1.9% Spanish, 1.5% Vietnamese and 1.3% Italian in their homes. In the city, the age distribution of the population shows 17.5% under the age of 18, 8.1% from 18 to 24, 36.1% from 25 to 44, 22.1% from 45 to 64, and 16.3% who were 65 years of age or older. The median age was 38 years. For every 100 females, there were 91.0 males. For every 100 females age 18 and over, there were 88.5 males. As of 2010 Quincy has the highest per capita concentration of persons of Asian origin in Massachusetts. As of 2003 about 66% of the Asians in Quincy are ethnic Chinese, giving the city one of the largest Chinese populations in the state. There is also a community of persons of East Indian origins, with most of them working in information technology and other skilled professions. A growing number of people with Vietnamese origins live in the area as well and make up the second largest Asian American group in Quincy. In 1980 there were 750 persons of Asian origin in Quincy. Most of the Asian immigrants coming in the 1980s originated from Hong Kong and Taiwan. In 1990, Quincy had 5,577 persons of Asian origin, with 143 of them being of East Indian origin. The number of Asians increased to 13,546 in 2000, with about 9,000 of them being ethnic Chinese, and 1,127 of them being ethnic East Indian. The latter group grew by 688%, making it the fastest-growing Asian subgroup in Quincy. Around 2003 most Asian immigrants were coming from Fujian instead of Hong Kong and Taiwan. At that time Quincy had a higher Asian population than the Boston Chinatown. The overall Asian population increased by 64% in the following decade, to 22,174 in 2010. Quincy's Chinese population increased by 60% during that time period. Historically Quincy residents traveled to shops in Chinatown, Boston, but by 2003 Asian shopping centers became established in Quincy. By 2003 New York City-based Kam Man Food was establishing a supermarket in Quincy. In February 2017, City Councilor Nina Liang presented a motion to designate Quincy as a "Sanctuary City". This motion was voted down by the City Council. Quincy has an estimated 8,000 undocumented residents and has the 11th-highest concentration of immigrants in Massachusetts overall. As of 2000 about 50% of Asians in Quincy own their own houses; many who rent do so while saving money for down payments for their houses. Sixty-five percent of the Chinese were homeowners while only 10% of the East Indians were homeowners. As of 2003 slightly more than 2,500 Asian Americans in Quincy were registered to vote, making up almost 25% of Asians in the city who were eligible to vote. In the 1980s there was racial violence against the Asian community by whites, and at the time the city did not employ any Asian police officers, leaving the Asian population to feel a lack of trust in the police. By 2003 the racial tensions had been greatly reduced, and the Quincy Police Department at that time had Asian officers. By 2003 Quincy Asian Resources Inc. planned to establish a newsletter for Asian residents. In 2011 Boston Chinatown Neighborhood Center, Inc. (BCNC; 波士頓華埠社區中心) executive director Elaine Ng stated that the center would begin to offer services in Quincy. The number of persons using BCNC services residing in Quincy increased by almost 300% in a period beginning in 2004 and ending in 2005. Houghs Neck is a northeastern peninsular community named for Atherton Hough, who was granted the land in 1636 for use as a farm and orchard. Hough's Neck has a substantial Irish American population. North Quincy is a residential and commercial neighborhood along Hancock Street and Quincy Shore Drive that includes a substantial Asian American population with substantial Asian business growth. Quincy Center is the commercial and government center of the city where City Hall, Thomas Crane Public Library, the United First Parish Church (Old Stone Church), Quincy Masonic Building, and numerous office buildings and residential streets can be found. South Quincy is a residential area bordering the town of Braintree that includes Crown Colony office park and Faxon Park, a wooded 66-acre (0.27 km2) protected space. Squantum is the peninsular northernmost part of Quincy grew from being a summer resort adjacent to an early civilian, then Naval Air Station Squantum, into a year-round residential neighborhood. Squantum boasts one of the largest Irish American populations, per capita, in the United States. During its history Quincy has been known as a manufacturing and heavy industry center, with granite quarrying dominating employment in the 19th century and shipbuilding at Fore River Shipyard and Squantum Victory Yard rising to prominence in the 20th century. The recent decades have seen a shift in focus to several large employers in the financial services, insurance and health care sectors of the economy. Quincy is the location of the corporate headquarters of several firms, including Boston Financial Data Services, the Stop & Shop supermarket chain, Arbella Insurance Group and The Patriot Ledger, the publisher of the South Shore's largest regional newspaper. Other major employers with offices in Quincy are State Street Corporation, Blue Cross Blue Shield of Massachusetts, Harvard Pilgrim Health Care and Boston Scientific. TACV, national flag carrier airline of Cape Verde, has its United States corporate office in Quincy. Icelandair has its North American headquarters in the city as well. Quincy has a strong mayor government. The incumbent mayor, Thomas P. Koch, has served since 2008; he is the 33rd mayor of the city. Mayors in the city were elected to two-year terms. In 2013, the city's voters opted to extend the mayoral term to four years, beginning after the 2015 election. In addition to the mayor, the city has a nine-member city council. Six councilors are elected to represent Quincy's wards, and three are elected at large. Councilors serve two-year terms. The city also has a school committee with seven members—the mayor and six members elected to staggered four-year terms. Quincy is represented in the Massachusetts State Senate by Democrat John F. Keenan. Four members of the Massachusetts House of Representatives represent Quincy: Bruce Ayers, Tackey Chan, Daniel Hunt, and Ronald Mariano. Each representative is a Democrat, and Mariano is the majority leader in the House. Quincy is home to various educational institutions, public and private, including one early childhood education center, one Montessori school, one Catholic school, one college-preparatory school, two colleges, Eastern Nazarene College, a private liberal arts and sciences college, and Quincy College, a private, localized college, two public high schools, five public middle schools, and 12 public elementary schools. In the 19th century, the city became an innovator in progressive public education with the Quincy Method, developed by Francis W. Parker while he served as Quincy's superintendent of schools. Four years after its implementation, a state survey found that Quincy students excelled at reading, writing, and spelling, and ranked fourth in their county in math. Private and alternative education institutions for children in preschool–8th grade include Quincy's three Catholic schools—Sacred Heart, St. Ann, and St. Mary. Because of declining enrollment and the ongoing economic crisis, the three merged to form the Quincy Catholic Academy, which opened in September 2010, at the site of the Sacred Heart school. The Woodward School for Girls is a non-sectarian college preparatory day school for girls in grades 6–12. Campus Kinder Haus (CKH) is operated by the Eastern Nazarene College on its Old Colony campus. The Adams Montessori School is open for children of preschool through elementary school age. The Thomas Crane Public Library serves as the public library system of Quincy, Massachusetts. Peter Jae established the Quincy Chinese Language School, which offers supplementary education for Chinese children, in 1988. As of 2003 it holds Cantonese-language classes for 150 students at the Sacred Heart School in North Quincy on Saturday mornings. The school at one time had 400 students but the school reduced itself in size when a lack of qualified teachers occurred. The Chung Yee School is another Chinese school in Quincy. As of 2008 the headmaster is Harry Kwan, who originated from Hong Kong. That year the school had 100 students and charged $100 ($116.37 adjusted for inflation) per child per month for Chinese language and culture after school classes. It was first established around 1996. The school was briefly closed by the Quincy Police Department in November 28, 2008 due to a lack of Massachusetts state and local government permits. After the state and municipal authorities cleared the school of allegations of child abuse, it was scheduled to reopen that year. In December 2002 the Vrindavana Preservation Society established the Vaisnava Academy which caters to Quincy's East Indian community and offers courses for children. Subjects include the Hindi language, Indian dance and music, and yoga. City of Presidents banner previously displayed on Route 3A. The temporary Fore River Bridge can be seen in the background. As part of Metro Boston, Quincy has easy access to transportation facilities. State highways and the Interstate system connect the Greater Boston area to the airport, port, and intermodal facilities of Boston. Due to its proximity to Boston proper, Quincy is connected not only by these modes of transportation but also to the regional subway system, operated by the Massachusetts Bay Transportation Authority (MBTA), known locally as "The T". The four subway or "T" stops in Quincy, which are on the MBTA's Red Line, are North Quincy Station, Wollaston Station, Quincy Center Station, and Quincy Adams Station. As Route 3 joins I-93 and US 1 at the Braintree Split, the three travel north together toward Boston around the eastern extent of the Blue Hills Reservation, entering West Quincy as the Southeast Expressway. The expressway provides access to West Quincy at Exit 8—Furnace Brook Parkway and Exit 9—Bryant Avenue/Adams Street before entering Milton. The Furnace Brook Parkway exit also provides access to Ricciuti Drive and the Quincy Quarries Reservation as well as the eastern entrance to the Blue Hills Reservation Parkways. Quincy was a major terminal for the commuter boat system that crosses Boston Harbor to Long Wharf, Hull, Rowe's Wharf, Hingham, and Logan Airport. The commuter boats, which were operated by Harbor Express under license by the Massachusetts Bay Transportation Authority, docked at the Fore River Shipyard in Quincy Point. Service ended in October 2013 after a water main break damaged the sea wall and wharf. Temporary repairs would have cost $15 million; permanent repairs $50 million. In 2014, the MBTA made the decision to permanently end the service and sell the land. Quincy has had brief flirtations with professional sports. The Quincy Chiefs of the minor league Eastern Basketball Association (the predecessor to the defunct Continental Basketball Association) played a single season in 1977–78, and was coached and managed by former Boston Celtics executive Leo Papile. The Chiefs finished 12–19 in third place, and lost in the playoffs to eventual league champion Wilkes-Barre. Quincy's professional baseball team, the Shipbuilders, competed in the New England League in 1933, recording a 12–6 record before moving to Nashua midseason; a revival of the team played in the NEL from 1941 through to 1944. The final season of the Boston Minutemen of the North American Soccer League was played at Veterans Memorial Stadium in Quincy, in 1976, finishing 7–17. The Real Boston Rams of the soccer 4th division Premier Development League, an affiliate club of the New England Revolution, has played in Veterans Memorial Stadium since 2014. Quincy has had several football teams in the semi-pro Eastern Football League over the years. The current club, the Quincy Militia, played its inaugural season in the EFL in 2009. Founded in 2009 by long-time Quincy resident Vaughn Driscoll, new owners came into the team picture in 2013. Militia games are played July to October with home games at Veterans Memorial Stadium on Saturday nights. An earlier team, the Quincy Giants, played in the minor league Atlantic Coast Football League between 1969 and 1971. Quincy's only college sports program is the "Lions" of Eastern Nazarene College, in the D-III Commonwealth Coast Conference of the National Collegiate Athletic Association (NCAA) and the Eastern College Athletic Conference (ECAC). Games are played at Bradley Field and the Lahue Physical Education Center on-campus, or at Adams and Veterans Memorial Fields in Quincy. Quincy's high school sports programs are in the Patriot League: the D-III Fisher Division "Red Raiders" of North Quincy High School and the DIIA Keenan Division "Presidents" of Quincy High School, who are rivals. Quincy also hosted the youth baseball Babe Ruth League World Series in 2003, 2005 and 2008. High school baseball and Babe Ruth League games are played at Adams Field. High school football is played at Veterans Memorial Field. John Adams – second President of the United States, first Vice President, founding father of U.S.
Esther Grace Earl (1994–2010) Vlogger/ YouTuber/ Author/ Nerdfighter/ Activist in the Harry Potter Alliance. Esther R. Sanger (1926–1995) – social worker known as "Mother Teresa of South Shore"
^ Herring, James; Longacre, James Barton (1853). The National Portrait Gallery of Distinguished Americans. D. Rice & A.N. Hart. p. 1. Retrieved 2008-10-22. ^ "East Squantum Street (Moswetuset Hummock)". Quincy, Massa. Historical and Architectural Survey. Thomas Crane Public Library. 1986. Retrieved 2009-06-24. ^ Neal, Daniel (1747). "XIV: The Present State of New England". The history of New-England. 2 (2 ed.). London: Printed for A. Ward. p. 216. OCLC 8616817. Retrieved 2009-06-24. ^ Schoenberg, Thomas J. (2006). "Morton, Thomas – Introduction". Literary Criticism (1400–1800). enotes.com. Retrieved 2009-10-15. ^ a b c Lodge, Henry Cabot (1902). Boston. New York: Longmans, Green, and Co. p. 7. OCLC 4276118. Retrieved 2009-10-15. ^ Morton, Thomas (1883). Charles Francis Adams, Jr. (ed.). The new English Canaan of Thomas Morton. Boston: The Prince Society. p. 278. OCLC 28272732. Retrieved 2009-10-15. ^ "The Merrymount Association". Retrieved 2009-10-15. ^ Adams, Charles Francis (1891). History of Braintree, Massachusetts (1639-1708) : the north precinct of Braintree (1708-1792) and the town of Quincy (1792-1889). Cambridge, Massachusetts: Riverside Press. pp. 3–5. ^ a b Pattee, William S. (1859). A History of Old Braintree and Quincy: With a Sketch of Randolph and Holbrook. Green & Prescott. p. 12. ^ Taylor, Earl (2008). "Dorchester MA, Town History 1630-1870". Dorchester Atheneum. Retrieved 2009-10-15. ^ "A Short History Lesson (from the Town's Master Plan)". Town of Weymouth. Retrieved 2009-10-15. ^ Pattee, William S. (1859). A History of Old Braintree and Quincy: With a Sketch of Randolph and Holbrook. Green & Prescott. p. 61. ^ "Good Neighbor Booklet" (PDF). City of Quincy. n.d. p. 20. Retrieved 2010-01-16. ^ Osgood, Charles (2001). Kilroy Was Here: The Best American Humor From World War II. New York: Hyperion. p. 19. ISBN 978-0-7868-6661-8. OCLC 45532422. Retrieved 2009-07-29. ^ "Quincy (city) QuickFacts from the US Census Bureau". Retrieved Nov 30, 2011. ^ a b c d Encarnacao, Jack. "Quincy's Asian population surging" (Archived 2015-09-07 at WebCite). The Patriot Ledger. March 23, 2011. Retrieved on September 8, 2015. ^ a b c d e f Eschbacher, Karen. "Immigrants from India a growing community in Quincy" (Archived 2015-09-07 at WebCite). The Patriot Ledger. July 2, 2003 (from the summary page(Archive)). Retrieved on September 8, 2015. ^ a b c Hsiao, Teresa. "WEEKEND TRAINING" (Archived 2015-09-07 at WebCite). The Patriot Ledger. July 2, 2003 (from the summary page Archive). Retrieved on September 8, 2015. ^ a b c Eschbacher, Karen. "Quincy’s Asian-American community is growing, changing" (Archived 2015-09-07 at WebCite). The Patriot Ledger. June 28, 2003 (from the summary page(Archive). Retrieved on September 8, 2015. ^ a b Eschbacher, Karen. "Many anticipate Quincy is becoming THE NEXT CHINATOWN" (Archived 2015-09-07 at WebCite). The Patriot Ledger. June 28, 2003 (from the summary page(Archive). Retrieved on September 8, 2015. ^ a b Fox, Jeremy C. "Chinese population expanding in Boston suburbs" (Archived 2015-09-08 at WebCite). Boston Globe. Retrieved on September 8, 2015. ^ Eschbacher, Karen. "Asian American Bank's banking on success of new supermarket" (Archived 2015-09-07 at WebCite). The Patriot Ledger. June 30, 2003 (from the summary page(Archive). Retrieved on September 8, 2015. ^ a b Eschbacher, Karen. "LOOKING TO THE FUTURE" (Archived July 6, 2015, at the Wayback Machine). July 2, 2003 (from the summary page(Archive). Retrieved on September 8, 2015. ^ a b Eschbacher, Karen. "CLOSING THE DIVIDE" (Archived July 6, 2015, at the Wayback Machine). The Patriot Ledger. July 1, 2003 (from the summary page(Archive). Retrieved on September 8, 2015. ^ a b Eschbacher, Karen. "Two Asian-American officers make inroads in neighborhoods" (Archived July 6, 2015, at the Wayback Machine). The Patriot Ledger. July 1, 2003 (from the summary page(Archive). Retrieved on September 8, 2015. ^ Jabaily, Robert (Fall 2007). "Coping with Economic Change: Quincy, Massachusetts" (PDF). The Ledger. Boston: Federal Reserve Bank of Boston. Retrieved 2009-11-14. ^ "." Retrieved on June 28th, 2016. ^ Ronan, Patrick (November 6, 2013). "Quincy voters double length of mayor's term". The Patriot Ledger. Retrieved December 31, 2014. ^ "City of Quincy - City Councilor Information". www.quincyma.gov. Retrieved 2016-03-04. ^ Viser, Matt (2006-12-23). "Menino targeting community colleges". The Boston Globe. ^ "Our Schools". Quincy Public Schools. Retrieved 25 December 2010. ^ Rines, Lawrence S.; Sarcone, Anthony F. "A History of Shipbuilding at Fore River". Thomas Crane Public Library. Retrieved 24 December 2013. ^ Mann, Jennifer. "Quincy Chinese language school cleared of abuse allegations" (Archived 2015-09-08 at WebCite). The Patriot Ledger. December 30, 2008. Retrieved on September 8, 2015. ^ McHugh, Patrick (August 20, 2009). "Semi-pro Quincy football team is not playing like an EFL expansion team". Quincy, Massachusetts: The Patriot Ledger. Retrieved 28 November 2009. ^ Crowe, Julia (2012). My First Guitar: Tales of True Love and Lost Chords from 70 Legendary Musicians. ECW Press. pp. 92–93. ISBN 1770902759. ^ Mark Shanahan; Meredith Goldstein (6 February 2014). "'Frozen' producer Peter Del Vecho has South Shore roots". Boston Globe. Retrieved 21 April 2014. ^ "Gwendolyn Gillen, 76, Wis. artist who cast Mary Tyler Moore sculpture". Boston Globe. 2017-02-10. Retrieved 2017-02-27. 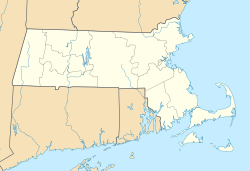 Wikimedia Commons has media related to Quincy, Massachusetts. Wikivoyage has a travel guide for Quincy (Massachusetts).